Located on Muravandhoo island on the Raa Atoll in the northern Maldives, JOALI features 73 private beach and water villas and residences. Each villa is inspired by individual stories and designed to evoke this sensibility throughout. 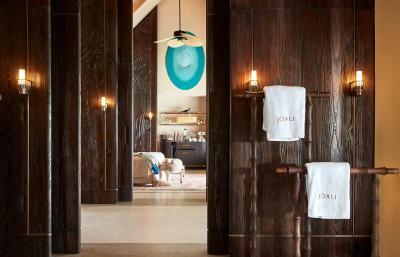 JOALI Spa by Espa is inspired by the tropical surrounds and offers indulgent treatments. 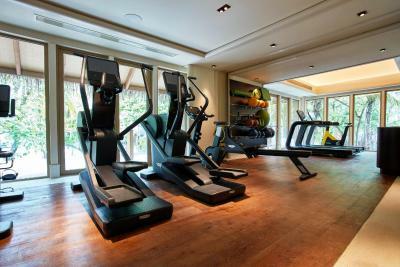 A fitness center offers expert trainers and expansive views of the turquoise hued blue ocean and deep green flora and fauna. Saoke Restaurant designed by Japanese restaurant architect Noriyoshi Muramatsu replete with Kotatsu seating and elegant lounge, to Nikkei cuisine. 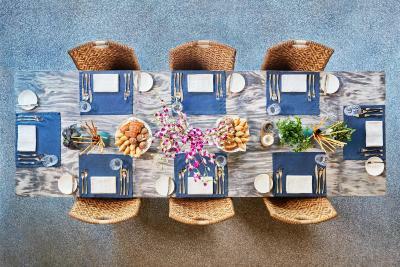 Italian Restaurant – a piece of Italy in the midst of the Maldives, from Nonna-approved pastas to obligatory Bellini aperitivos and grappa digestives. 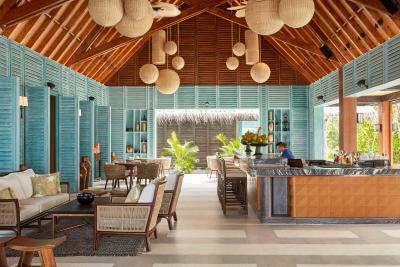 Mura Bar – consisting of cabanas and infinity pods overlooking the sandy white beach and iridescent sea. With its vibrant ocean and lush landscapes JOALI can arrange activities like snorkeling with manta rays, learning about coral degradation in the underwater museum, wakeboarding to chartered yacht and dhoni excursions as well as meeting with local communities. An art map of the hotel takes guests on an art and sculpture tour of the island in a scavenger hunt of unique works designed specifically for Joali. 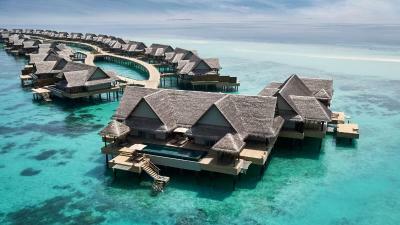 When would you like to stay at JOALI, Maldives? This villa offers the perfect backdrop for a nature-inspired rejuvenation. With a spacious living room and separate bedroom, this stunning villa has a fully equipped library and infinity pool. With beach, garden and ocean views, this tranquil villa can accommodate up to three people. Handpicked accents, a private garden and a spacious 35 square yard infinity pool ensures total relaxation. 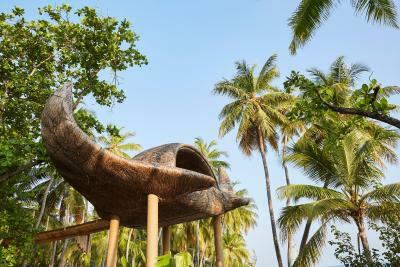 This one bedroom villa accommodates up to 3 people and offers life over the Indian Ocean. 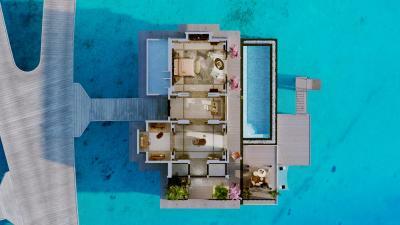 Dove into a private 35 square yard infinity pool against the backdrop of crystal clear waters. Sit back and enjoy a breathtaking sunset every night from your bedroom or sundeck and watch the Maldivian waters glow as the day comes to an end. This villa with a 35 square yard infinity pool offers pure relaxation and a perfect view. Directly above the crystal clear Maldivian waters, this luxury accommodations features a spacious living room and separate bedroom. An over water deck with private 35 square yard infinity pool offers a warm invite to sunbathe by day and stargaze by night. Witness the famous Maldivian sunset from the comfort of a spacious two bedroom suite that is ideal for couples traveling together or large families. 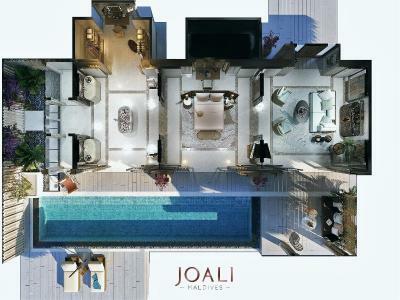 House Rules JOALI, Maldives takes special requests – add in the next step! All children under 12 years are charged USD 225 per night for extra beds. Any additional older children or adults are charged USD 450 per night for extra beds. 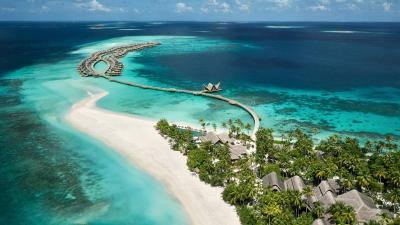 JOALI, Maldives accepts these cards and reserves the right to temporarily hold an amount prior to arrival. Children under 6 years will eat free, stay free subject to resort bedding policy. Meal plans are complimentary for infants and juniors dining on the Infant and Junior Gourmet menus. The Junior Gourmet menu is chargeable if ordered from In-Villa Dining. 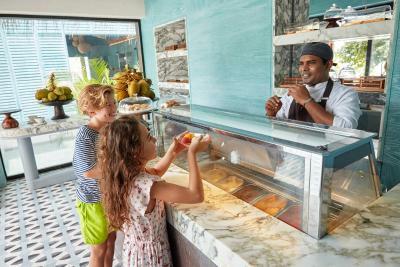 Children from 6 to below 12 years receive 50% off adult’s price from all adult menus unless mention otherwise. 12 years and above are considered as adults. Due to the open design and proximity to the water of over-water villas, the Resort encourages guests with children below the age of 12 years to consider booking beach villas. 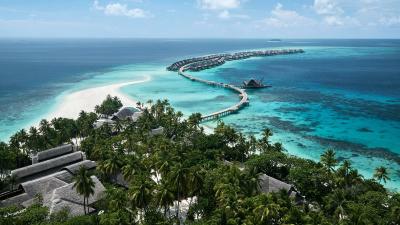 If guests who travel with children below 12 years would like to book the water villas, the Resort requires the signing of a liability agreement. 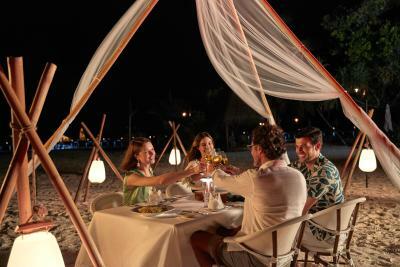 A Green Tax of USD 6 per person per night, regardless of age, will apply for all guests. - International flight details must be communicated to the resort at least 7 days prior to arrival to secure seaplane or domestic flight seats. JOALI’s dress code is smart or business casual. We need at least 5 reviews before we can calculate a review score. 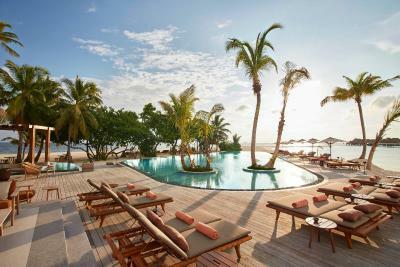 If you book and review your stay, you can help JOALI, Maldives meet this goal.